Weeding out job applicants can be a confusing and tedious process. One job opening may result in a long line of applicants vying for a position that needs to be filled in a short span of time. How do you determine which applicant meets your requirements and which one is not competent enough for the job in a short span of time? Job Application Forms are considered to be a recruiter’s best friend. Job Applications help employers and job recruiters quickly scan through the thick pile of resumes that applicants submit. 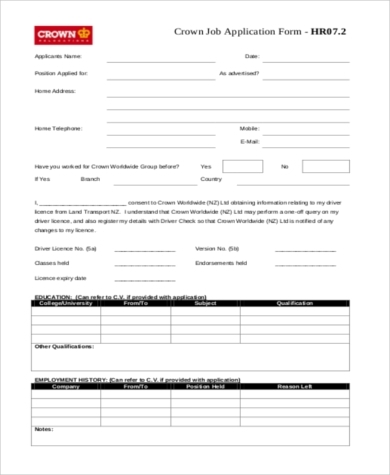 Hundreds of Application Forms can be downloaded online; however, not a lot of them cover the basic information that is directly required in an effective Job Application Form. 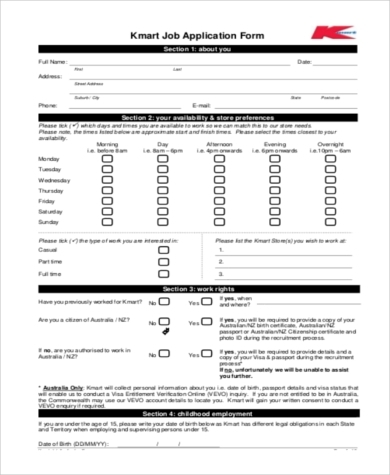 A Job Application Form is a standardized form that is filled out by job applicants and requires them to fill it out with details about them that are relevant to the job being applied for. When an organization or recruiters use one general Job Application Form, a lot of time is saved because it helps them easily skim through the pages with direct knowledge of which portion of the form provides the information he is looking for. 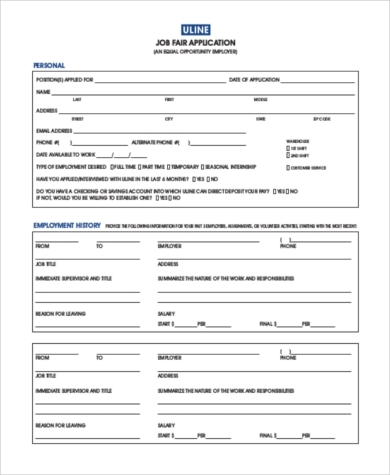 Job Application Forms are also the best way to avoid hiring employees who are not totally honest about their records or work history. 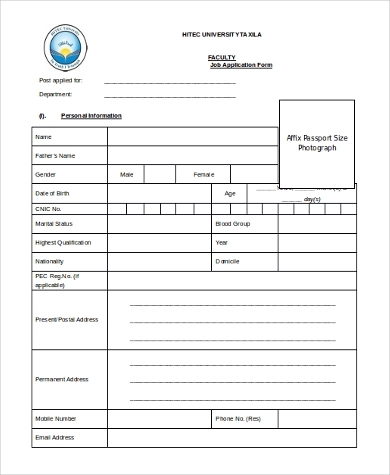 When applicants are asked to fill out a Job Application Form on the spot, it becomes more difficult for them to make up information. 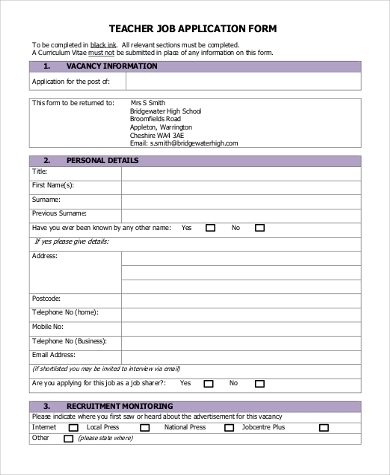 Why use an Application Form? 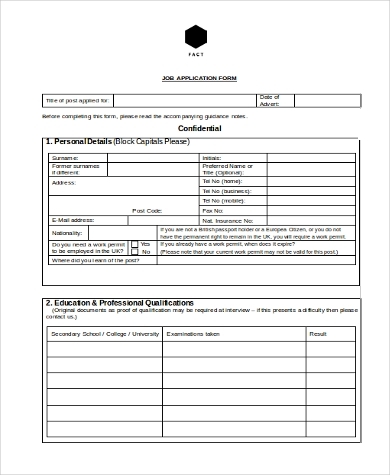 A uniform Job Application Form allows employers and recruiters to quickly scan through them and easily spot the areas that they think are important for the job position. This method of assessment helps them save a lot of time and quickens the process. 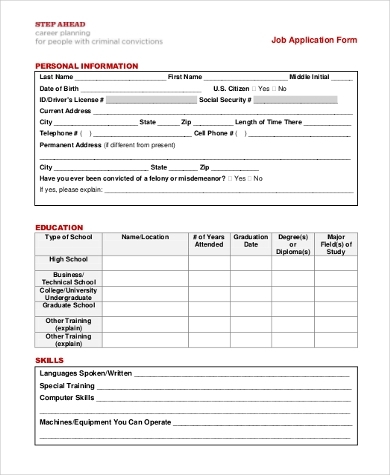 The standardized Job Application Form allows employers and recruiters to use just template and makes it easier for them to compare potential candidates based on skills, performance, abilities, and work history. When an employee submits a resume or a curriculum vitae, tendencies are that he may have tailored it to highlight his potentials and hide his weaknesses or his dark secrets. 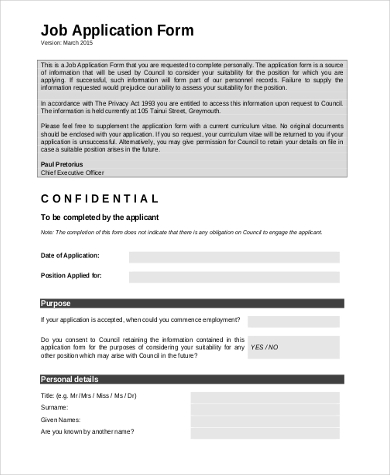 A Job Application Form lessens the possibility of applicants from withholding information about them that are detrimental to their application. 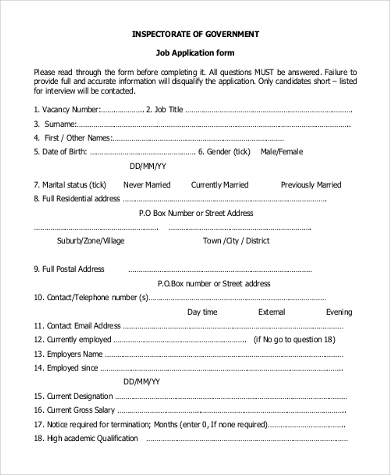 The initial part of an Employment Application Form typically requires an applicant to provide his personal information such as his name, age, date of birth, address, e-mail, and contact information. 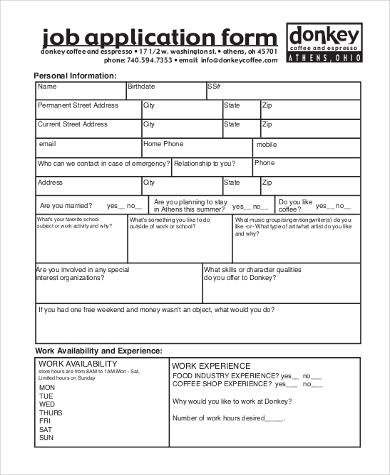 After the employee has provided the necessary personal information, he is then required to indicate the position he is applying for and if he is willing to work full time or part time. 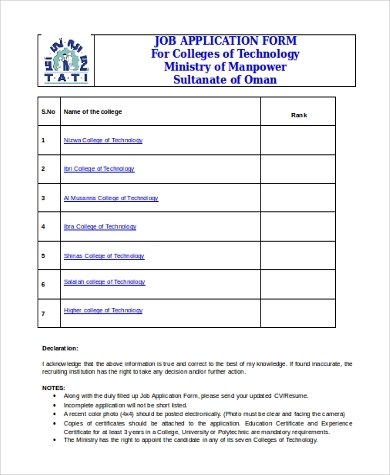 A job applicant also has to provide information about his education. In some organizations, information pertaining to an applicant’s education starts from high school up to graduate school. Applicants are also required to indicate their special skills and abilities, preferably the ones that are useful for the position they are applying for. 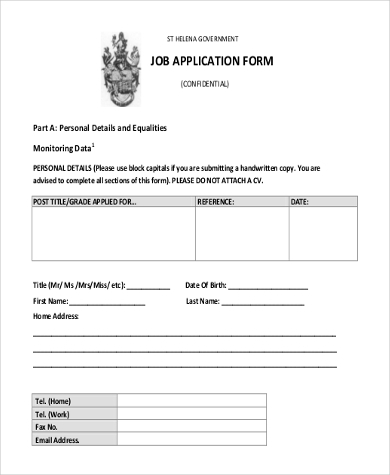 An applicant’s work history is considered to be the most crucial section of an employee’s application form because it requires the candidate to list down the names of his previous company, the period of time he has worked for them, his direct supervisor, and the company address. Through an applicant’s employment history, recruiters will be able to gauge their career goals, work ethics, and character. 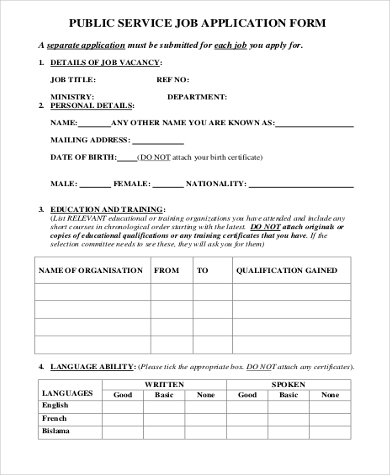 The last part of a Job Application Form is usually a list of references that the applicant must provide. References may be former or present supervisors or employers, colleagues, or academic professors who can vouch for an applicant’s skills, character, and ability.